Sad that Twitter Developer conference Chirp did not celebrate its first birthday this year? Well Twitter’s Jason Costa has just given those anticipating the gathering a slight ray of hope by announcing an official smaller #Devnest event to take place at Twitter HQ San Francisco on May 12th. 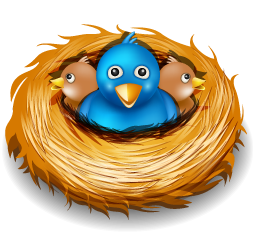 For those of you unaware, Devnest was a Twitter Developer event out of London started in 2010 by British Twitter developer Jonathan Markwell and organized by Angus Fox. Looks like Twitter has now appropriated the successful event as its own, planning a “string of dates in several cities around the US.” Ooh. On May 12th from 6:30pm to 8:30pm, we’re going to be hosting a developer event, Twitter #devnestSF, here at our headquarters in San Francisco. Please RSVP to join us for the evening. Due to space constraints, we’ll only be able to accommodate the first 200 sign-ups, and each RSVP is limited to one person. If you can’t attend this time around, don’t worry – this is going to be the first of many events to come. And for those not based in San Francisco, we’re planning to do a string of dates in several cities around the US, and in other cities around the world. Plus, we’re planning to record the event and release it on YouTube. More details will be released on that soon. Rather than create a new event format, we’re choosing to embrace and extend what certain developers in the community are already doing – specifically the Devnest UK guys. Thanks to Angus Fox and Jonathan Markwell for letting us build on their work. Costa is the recently hired Twitter Developer Relations manager, brought on to smooth over what have certainly been some bumpy relations. Twitter recently told developers straight out to stop building clients and focus on verticals, and then reportedly started a bidding war with Bill Gross’ Ubermedia for client Tweetdeck. Costa’s got a long row to hoe.